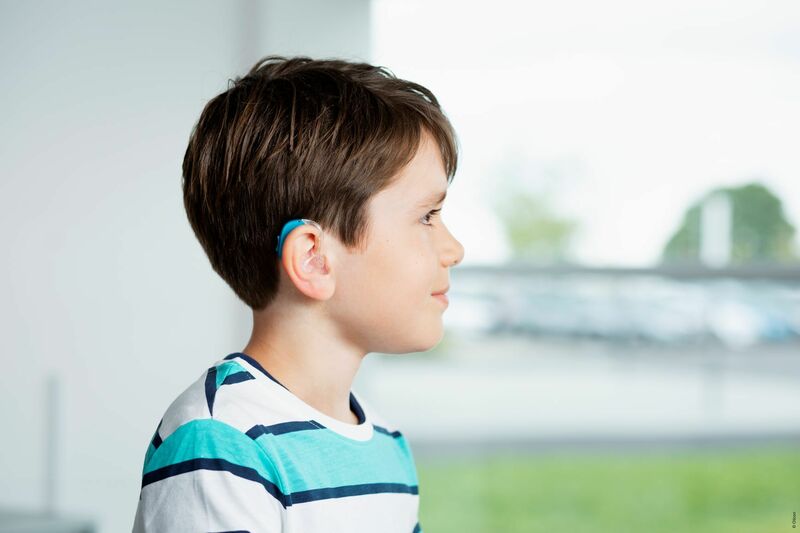 Copenhagen, Denmark, February 19th, 2019 – Oticon Opn Play™ is a breakthrough hearing aid designed to meet the developmental needs and day-to-day challenges for growing children with hearing loss. Representing a whole new way for children to hear, the Oticon Opn Play™ paediatric hearing aid opens up a whole world of sound to young ears while enabling them to differentiate between speech and noise with less effort in their beautifully chaotic world. More than 80% of what children learn comes from incidental learning. Their brains act as a sponge, absorbing sounds to help them learn from the constantly changing environments that they live and interact in. Children with hearing loss do not receive the full information the brain needs in order to process sound. As adults, we automatically fill in gaps from memory or use context, but children don’t have this reserve of information to call upon, so they have to work harder to give meaning to sound and speech and keep up, which can leave them feeling tired, overwhelmed and isolated. Oticon Opn Play™ is the first children’s hearing aid to open up the world of sound while supporting them to choose which sounds to pay attention to naturally. With better speech understanding and reduced listening effort, as well as access to vital incidental sounds, young minds are given the stimulation needed to develop and grow. Children hug, they play and are extremely active, they also often wear hats and helmets. This increases the risk of bothersome whistling sounds – also called feedback - when wearing hearing aids. Oticon Opn Play™ features the world’s first system to prevent audible feedback without sacrificing audibility* ensuring a more comfortable listening experience during children’s hectic days. This even means that their developing brains can receive up to 25% more speech details, making it easier for them to improve their language skills. Oticon Opn Play™ is a Made for iPhone hearing aid, offering children seamless connectivity to the learning and lifestyle devices they enjoy every day, including modern smartphones and tablets. With the optional ConnectClip accessory, Oticon Opn Play™ hearing aids can be transformed into a wireless headset, to improve the sound quality of music, phone calls, and more. ConnectClip also doubles as a handy microphone making it both easier for children to hear in surroundings such as the playground where there is a lot of noise, and to listen to someone at a distance - which is especially useful in the classroom for clear communications from the teacher. Oticon Opn Play™ hearing aids come in a unique and wide range of styles and fun colours for children. Notably, a new rechargeable style offers super-fast and reliable battery charging able to provide all day power from just 3 hours of charging. All styles have been designed with children’s active lives and safety in mind: the hearing aids are hypoallergenic as well as dust and water resistant; feature a LED light to give caregivers visual confirmation that the hearing aid battery is functioning properly; and a tamper-resistant battery drawer to keep the battery out of the reach of inquisitive fingers. Sarah Chard, The PR Room. This press release was distributed by ResponseSource Press Release Wire on behalf of The PR Room in the following categories: Children & Teenagers, Health, Consumer Technology, for more information visit https://pressreleasewire.responsesource.com/about.